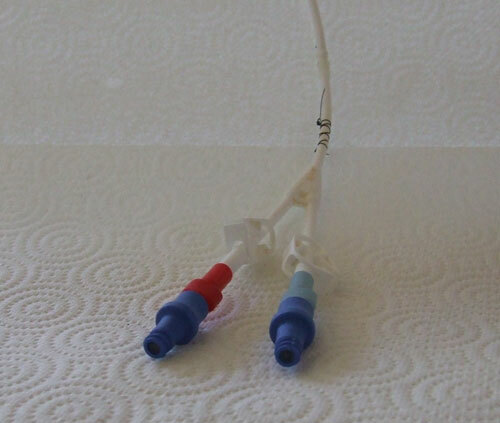 This is a picture of the Hickman catheter that was installed in my chest for the stem cell collection and SCT during the summer. You can see a picture of the insertion site here. I got the idea of taking a picture from Eric Vogt, who photographed his from tandem SCTs. 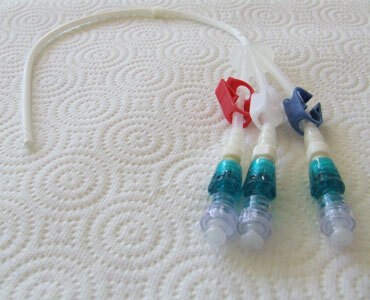 You can see a picture of the Neostar triple lumen catheter here. 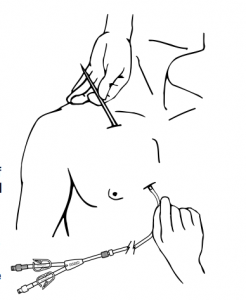 That’s what I had inserted at Wake Forest prior to chemo and stem cell collection. Below is a diagram I found which depicts the insertion of the catheter. Click on the image to view full size.